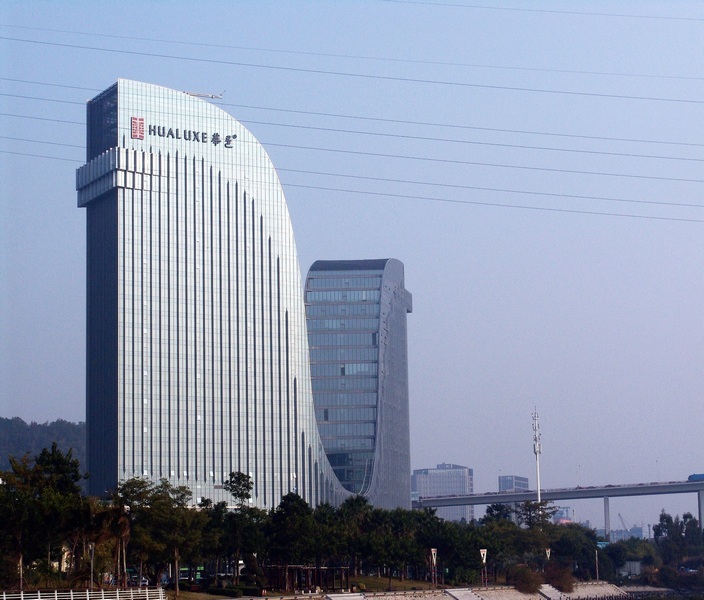 The Atkins-designed IHG Hualuxe Hotel of the Ocean Empire in the seaside city of Xiamen, China, opened recently. 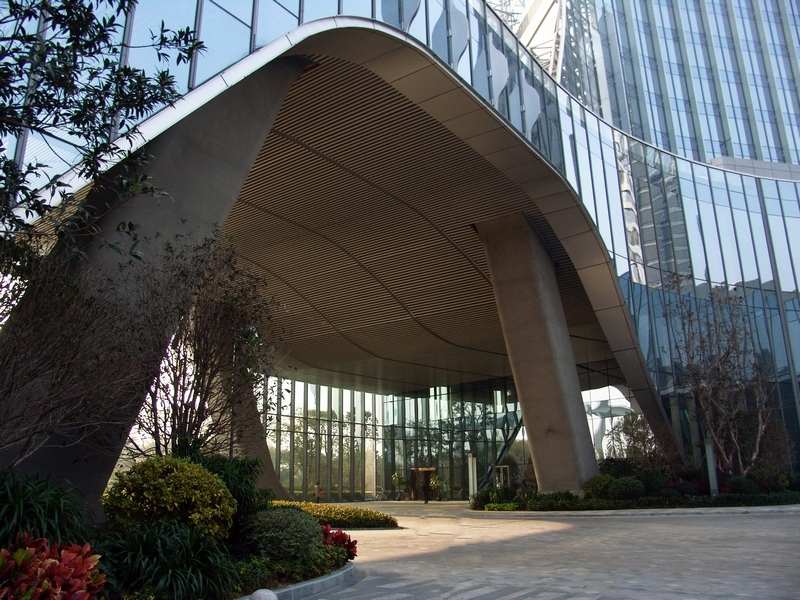 Atkins, a member of the SNC-Lavalin Group, was appointed as architect by developer Ronshine China. The hotel is also part of a larger masterplan by Atkins that includes seven residential towers. SNC-Lavalin acquired WS Atkins plc on July 3, 2017. With its prominent waterside location near the bridge from Xiamen Island, the hotel is highly visible from much of central Xiamen and emulates the city’s symbol of the egret in its design. The two towers seek to suggest the outstretched wings of the bird and the fins on the façade aim to reflect the quills of its feathers. This metaphor has been extended into the landscape design. The project includes 57,000 sq/m of the hotel and 34,000 sq/m of office space. Within the hotel tower are 351 bedrooms above a podium containing a 1,500 sq/m ballroom and two restaurants. At the top of the tower, enjoying wonderful views back towards Xiamen Island, is a Sky Bar that dramatically cantilevers out from the curve of the tower. The Hotel of the Ocean Empire is one of IHG’s first of its new Hualuxe brand, serving the Chinese traveler both at home and overseas, and will set new standards for this hotel concept across the globe. Other IHG projects that Atkins has worked on include Lingang Crowne Plaza and Huarong Zhuhai Crowne Plaza Hotel.